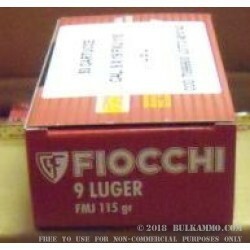 An exceptionally hot 9x19 round from Fiocchi for your 9mm personal protection gun, for range training and tactical training courses. This is the stuff that is sure to cycle in anything that can actually handle the increased (+P) pressures. This is a snappy little round with enough power to give significant performance ballistically, despite having only a full metal jacket projectile. Perfect for big training sessions or for newer, tight guns that need a little extra power. Note that this is a +P round and it is not suitable for firearms that are not intended to shoot the increased pressure loads of the +P or +P+ rounds. Please check your firearm manual to determine if this cartridge will be able to be shot out of your firearm. 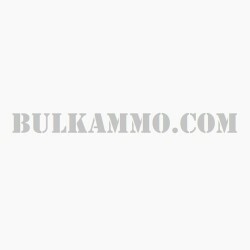 The recoil is much heavier than standard 9mm loads and the flat shooting projectile is a standard 115 grain full metal jacket that is great for function testing, target use and steel targets at greater distances. This is not a suitable load for ultralight weight alloy framed firearms generally. 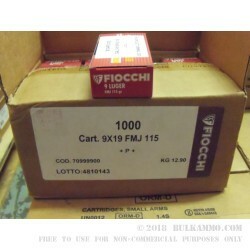 Excellent performance for an excellent price, this is a great ammunition for range shooters who want to shoot accurately in bulk.